The Most Infuriating Plant in My Garden. 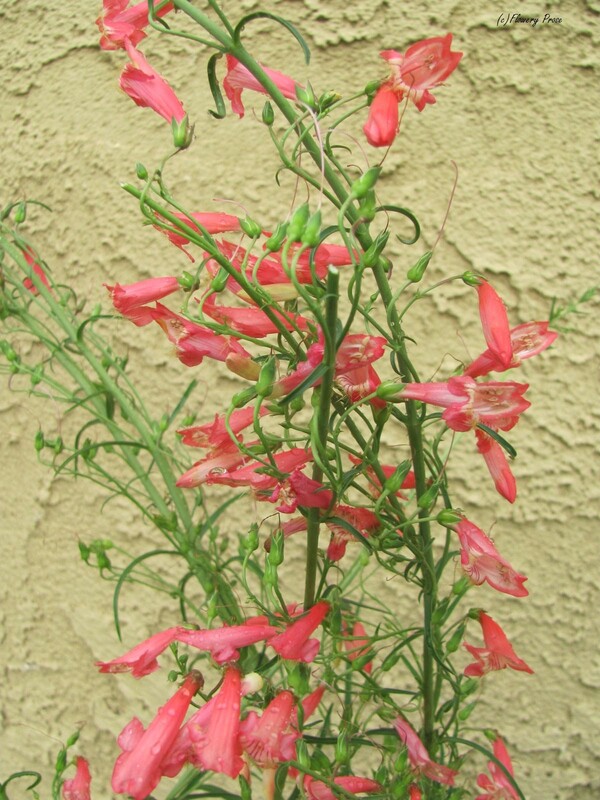 Introducing The Most Infuriating Plant in My Garden™: Penstemon barbaratus ‘Coccineus’ (Beard-tongue)! I don’t know if any of you grow this beast – and perhaps it is so well-behaved in your garden that you can’t figure out where I’m coming from – but it drives me bananas. I love the vibrant colour of the coral-red flowers and I love the mounding foliage. If they were not parts of the same plant, they’d be even better. I can’t stand the way the reedy flower stalks flop and plop above the tiny, neat clump of leaves, how it just lolls all over the plants growing around it like it owns the place. Did I mention how much I dislike staking plants? I would have torn it out years ago, but for the fact that the bees go gonzo over P. barbaratus! It’s so hilarious and sweet to watch them attack the blossoms, wiggling right down into the tiny tubes until you can barely see their striped backs. I can’t bear to remove a plant that is so beloved of pollinators, no matter how junky it looks. Staking certainly helps, that’s for sure! 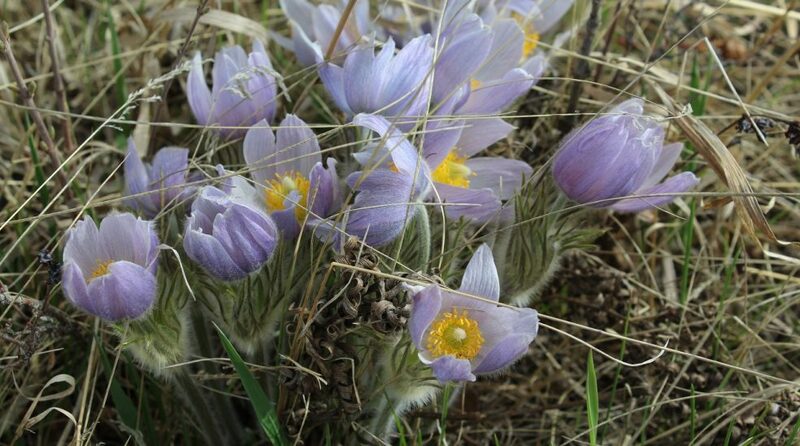 Have you ever made a planting mistake that turned out to be a good idea? This entry was posted in Botany, Flower, Gardening, Horticulture, Outdoors, Plant and tagged Penstemon, Pollination, Pollinator. Bookmark the permalink. ← Wordless Wednesday: Pincushion Flower (Scabiosa caucasica ‘Perfecta’). I agree…I just don’t want to deal with floppy plants. That’s a good idea as well…I will have to keep an eye out for something that will work. Staking of plants is a boring job and I am often too late. Nowadays I only stake the Delphiniums. I like this Penstemon and had it for some years in the garden. When you ask me if I have made planting mistakes I must say yessss, but I should not know occasions where it turned out to be a good idea. I too dislike “floppy” plants, but that colour of your penstemon is gorgeous. My autumn asters always get too tall and flop over and I never manage to stake them in time! I do like the colour as well. 🙂 I’ve been thinking of putting in some asters for fall as well, but perhaps I ought to look for some shorter varieties! Hi – I planted both hairy & foxglove beards tongue (the native plants for ON) and the bees & hummingbirds love them.. I planted 7 a circle with one in the centre.. They seem to hold each other up. My mistakes don’t usually turn out to be good ideas! Putting comfrey in the garden was a bad idea because it took over. The bees loved it but I had to painfully and slowly remove it all or lose my garden under a forest of comfrey. I have heard that comfrey can really take over…it’s always too bad when a plant you think is helpful turns out to be aggressive. That’s a good idea! Right now I just have a length of dowelling but something more decorative might just be the answer. The only Penstemon I grow is P. digitalis, which does need some staking, but the flowers are white with a bit of pink blush. Wishes you a beautiful Monday be blessed. Sending you lots of light in the day.